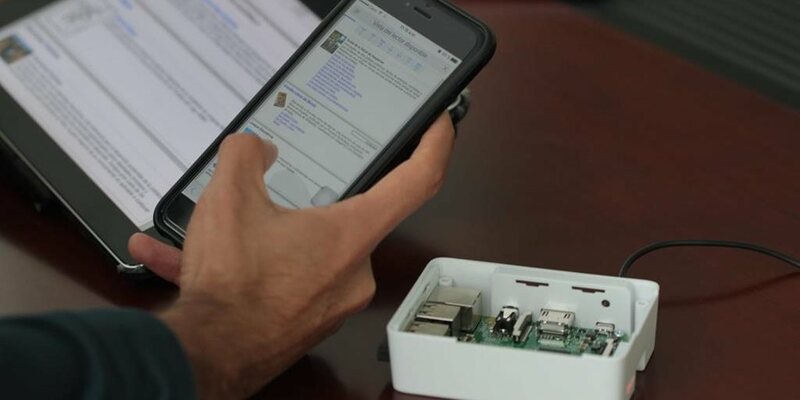 NetHope has long been on the World Possible radar and this new grant application is perfect for many of our long-time RACHEL partners who ask about device funding. World Possible will be organizing our grant request on behalf of you invited members. The minimum grant request is $250,000 with at least 60% spent on hardware. World Possible has invited you here on the strength of your ongoing RACHEL programs in country. The full invitation list includes the following groups, if you know of other ongoing RACHEL programs, please nominate them in the thread below. To indicate your interest in joining our proposal, please contribute an introductory post to this thread. What current client devices (make / model) do you use with RACHEL and how many have you deployed to date? We would then ask you to identify your preliminary planned deployments moving forward, in light of the potential donated hardware funding. These questions match the grant request reporting guidelines. Do you have an planned budget for your programs? This endeavor is our first group application for a grant. We’ve put together some qualifications and requirements here. Please review these and make sure you’re in agreement with them! My name is Romeo Rodríguez and I’m the executive director of World Possible’s chapter in Guatemala, Mundo Posible. I oversee and plan together with two staff members the efforts to reach out to schools in rural communities that lack access to technology. Besides deploying RACHEL, we provide a training program for teachers so that they make the best out of this and other technological resources. I also search and maintain communications with actual and potential donors or supporters in Guatemala and abroad. During the last three years (2014-2016) Mundo Posible has connected more than 2000 devices (desktops, laptops and tablets) to RACHEL in a total of 144 schools and 22 libraries in rural communities and have directly benefited 1282 teachers and 30914 students. Most of these deployments have occurred in the western side of Guatemala, including the departments of Sololá, Quiché, Totonicapán, Quetzaltenango and Sacatepéquez among others. In some cases, the school already had a few devices, usually old PC’s but without any content and without access to internet, and in some others, we partnered with organizations and private donors who provided them. Equipment needed: 50 laptops and 5 RACHEL Plus to equip all five schools with a computer lab. The approximate total number of students in the five schools together is 640. When a class is using a computer lab usually there are two-three students per computer. Las escuelas o comunidades que no tienen acceso a internet pueden utilizar el Kit Tecnológico para el Desarrollo o Biblioteca Virtual RACHEL, el cual brinda información académica, médica y de interés general. Our 2017 budget is US$ 91560 and includes administration expenses, a few RACHEL deployments, training teachers, travel expenses for monitoring and supporting schools currently in the program, promotion and fundraising. My name is Heather Hiebsch, and I am the Executive Director of TabLab Education / World Leadership Foundation. I was previously a principal at a K-12 school of innovation in Fort Collins, CO, and I am excited to reach even more kids and continue my passion of global connections and personalized learning at TabLab. Our mission is to partner with rural schools to transform teaching and learning. TabLab combines an on-site teacher trainer, professional development curriculum in personalized learning, and a mobile tablet lab of iPads and RACHEL. TabLab currently operates in partner schools in rural districts in Tanzania (Karatu and Monduli), Costa RIca (Sarapiqui), and USA (Colorado). In our pilot program, TabLab used the RACHEL server with iPads, iPad Minis. We also piloted sites using the Kio Kit. Our scaling model includes standardizing our equipment to consist of iPad Minis and RACHEL+ moving forward. To date, we have deployed approx 200 tablets and 10 RACHEL. That number will grow quickly, as we have already identified several new schools who wish to partner with TabLab. Our model scales within a local district by supporting local change agents. Through training and support, these local teachers then grow the program within their building, the district, and then the region. TANZANIA: We have been asked by the TZ government to consider expanding to the greater Arusha region as soon as possible and possible partnering with Teacher Preparation colleges. We have identified WelWel Secondary School in Karatu as our next immediate site. COSTA RICA: Our next school partners include Escuela San Gerardo, Escuels Ida Huertes, Liceo La Virgen, and Cindea alternative high school as our next locations in the Sarapiqui region. USA: Our next school partners include members of the Centennial BOCES (Board of Cooperative Education Services) for rural schools in the northeastern plains for Colorado. These schools includes Platte Valley Middle School in Kersey, Beaver Valley in Brush, and Prairie School in New Raymer. Each school will have 3-5 champion teachers who will lead the TabLab projects and participate in professional development teacher training. At elementary school level, each teacher will work with approx 30 students each. At the secondary level, teachers may work with up to 100 students per day. Benchmark data is being collected now. Formative, interim, and summative data to be collected by local on-site TabLab Trainers. Each new school launched costs approx. $18,000 - 25,000 USD which includes 2 year trainer salary, professional development curriculum, mobile lab hardware (iPads, cases, RACHEL, and rolling lab), and administrative / professional services. Excited to be part of this group. Let me know what other information I can provide! My names are Bonface Masaviru the World Possible Country Manager for the Kenya.My work involves carrying out Rachel installations,support,teacher training and liasing with partners for effective use of Rachel.The installations cover Tanzania and Uganda. Over the last 3 years we have carried Rachel installations in over 50 schools and libraries in the process reaching out to over 25000 students.Over the last three years we have partnered with the following NGOs and corporate entities in reaching to the rural and marginalized communities. •Seavuria -schools-Through our partnership with Seavuria we reached schools in Taita County in Coastal Kenya are now able to access high quality content through Rachel. •	Asante Africa foundation - three school in Tanzania with over 400 students each now have access to Rachel,we trained their teachers on ICT integration in learning. •	lewa conservancy-Our partnership with Lewa conservancy education programme has enabled over 10 schools access Rachel and benefit over 3000 students. •	We have worked with Jifundishe Tanzania Arusha in training their staff on the use of technology in learning. Rachel plus is the ideal deployment devices but unfortunately most schools that actually need have a challenge of raising funds to buy .We focus on schools in remote areas.Computers are also expensive especially good computers,once in a while rural schools in Kenya get used computers from Europe but maintenance cost is very high and the computers often end up as being dumped. Our plan based on the above factors is if we got support we will like to help the following schools or regions in Kenya with both Rachel plus and computers. This locations would be expected to have 20 computers each and a Rachel Plus. o	At the primary level Rachel main focus will be to improve math grade. o	The planned access time at primary level will be an hours a day each for each class. The primary day school this will happen only after class. o	Any other suggestion from the school on how to use Rachel will be welcomed. The estimated costs for hardware this Schools and library require is between 12000-15000$.This will cover Rachel Plus computers,LAN and support. We’re delighted to be invited to join this exciting collaboration! Naomi Rouse – advisor to Lyra, leading the Digital Learning Initiative. I have worked in education in Tanzania for 18 years, and recognise the huge potential for digital learning, IF appropriate support is provided to students and teachers to optimise usage. Madege, Lundamatwe and Mazombe Secondary Schools in Kilolo District, Iringa Region, Tanzania. 90 7” 8GB Amazon Fire Tablets, 30 per school. If we had additional funding, we would be interested in using tablets with larger screens for a better user experience, as well as increasing the allocation per school to 45 tablets. 1 device for 10-15 pupils. We work hard to get the school to arrange a timetable of regular access to the tablets, so that tablets are in use for several hours per day. Our on-site digital learning coaches also ensure that each pupil is logging into an individual account so that we can track regularity of access and work to ensure that every pupil gets reasonable access time, not just the select few. Do you have a planned budget for your programs? My name is Janice Lathen. I am the Founding Director and President of Powering Potential, Inc. (PPI). I oversee all operations, including administration, fundraising, and programming. With the other board members, I am responsible for organization governance, maintaining standards and principles, fulfilling our mission, and determining short- and long-term strategy. I started Powering Potential in 2006 with the purpose of providing rural Tanzanian students with access to ICT resources so that they would be able to complete the Tanzanian ICT curriculum, pursue modern ICT-related careers, and work to raise the standard of living in their country. PPI’s mission emphasizes working in the context of Tanzanian culture and values: cooperation over competition, community over the individual, modesty over pride, and spirituality over materiality. In keeping with this mission, we have historically worked in cooperation with district- and national-level government officials, thus allowing Tanzanians to guide their own growth and development. Powering Potential has enjoyed frequent recognition from high-ranking Tanzanian government officials, including the previous Permanent Secretary of the Ministry of Education Prof. Sifuni Mchome, and Dr. Jakaya Kikwete, the previous President of Tanzania. Over its ten-year history, PPI has provided 27 Tanzanian public co-ed schools across 11 districts with Raspberry Pi computer systems pre-loaded with RACHEL, thereby providing more than 10,000 students, teachers, and administrators with valuable digital learning aides. Additionally, through our Pi-oneer program, we’ve provided 24 of those 27 schools with the Raspberry Pi with RACHEL and mobile projector suite. We currently use the Raspberry Pi 3 Model B. We have deployed 24 Raspberry Pi 3 Model Bs to date. 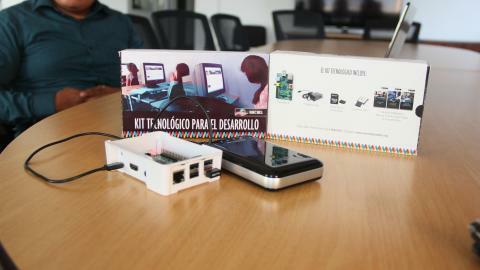 In 2013, we started using the Raspberry Pi Model B. We have deployed a total of 153 Raspberry Pi Model Bs to date. List of precise locations you would like to expand to. We would like to expand to 21 public co-ed rural secondary schools in the Karatu district of Tanzania’s northern Arusha region. The schools we intend to deploy to are Diego, Gyekrumarusha, Gyekrumlambo, Domel, Qangded, Oldeani, Kilimatembo, Kilimamoja, Chaenda, Upperkitete, Dr W. Slaa, Kainam Rhotia, Endabash, Mlimani-Sumawe, Marang, Mang’ola, Orboshan, Kansay, Karatu, Slahhamo and Endallah. Our current plans for expansion require a total of 504 solar-powered Raspberry Pi systems. Each of the 21 schools requires 20 Raspberry Pi client systems, 1 Raspberry Pi RACHEL server, 1 Raspberry Pi Pi-oneer with associated mobile projector, 1 Raspberry Pi file server, and 1 Raspberry Pi Google Coder. Deploying to these schools would provide an estimated 8,000 Tanzanian co-ed secondary school students and more than 150 teachers with access to ICT and digital educational resources that they would otherwise not have. After this deployment, every secondary school in the Karatu district will have a computer lab. Karatu can then serve as a pilot district for expansion throughout Tanzania. Janice Lathen brought more than computers to a remote part of Tanzania. She brought a window on the world. We do have a preliminary budget for this program. My name is Gary Friesen and I am the executive director of Innovative Education International (IEI), a 501©(3) nonprofit. IEI seeks to bring an innovative personalized learning model to developing countries of the world, initially focusing on mathematics, computer literacy, and character development. IEI’s educational model is transformative for countries that lack electrical power, internet access, textbooks, and qualified teachers. I am based in our US office and my role includes building national and international donor relations (including partnerships and fundraising), program development, and overseeing our two US and seven Liberian staff members. In 2015, IEI established Innovative Education Liberia (IEL) as its first subsidiary non-governmental organization. 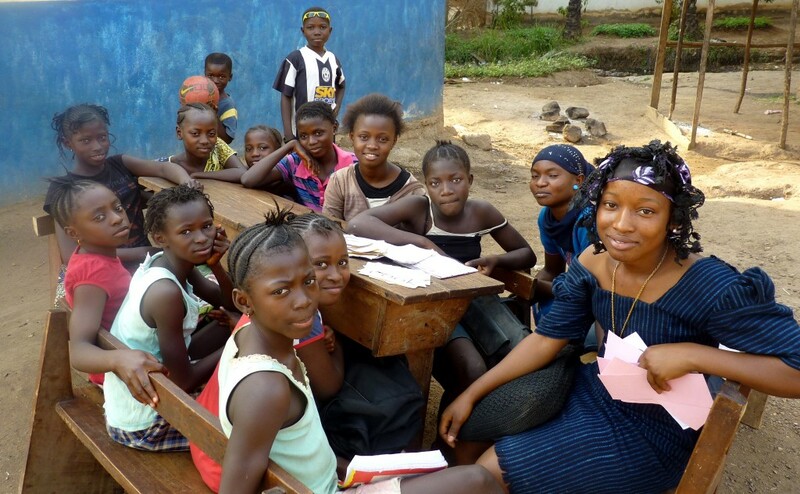 Since its inception, IEL has expanded to 12 schools in three counties (Sinoe, Montserrado, and Bong). Four of those 12 schools (St. Paul Episcopal High School, Seebeh Junior High School, Juarzon Central High School, and Whylie Christian Academy – all in Sinoe County) have now moved into Phase II of our program, which establishes a full-time IEL staff member in each school to facilitate the program. The other eight schools are visited on a rotating basis by another IEL staff member and will be transitioned into Phase II as they become ready. Our program uses the RACHEL-Plus servers. So far, we have deployed 24 RACHEL servers. These servers have been connected to our 450+ deployed HP and Dell laptops, which have served over 2,500 students. KA-Lite is the platform being used to teach mathematics. In September 2017, we would like to expand our Phase II program to three additional schools located in Greenville, Liberia (Sinoe County): Baptist Jr. High School, Salvation Army Jr. High School, and Assemblies of God Jr. High School. To expand to these schools, the hardware required includes: three additional RACHEL-Plus servers, 66 HP laptops, three trunks to house and securely store the laptops and RACHEL, and three generators used to charge the devices each evening. Each school would receive one generator and one trunk, which includes one RACHEL and 22 HP laptops. Two HP laptops will be utilized by the teachers and IEL staff in each school, assisting them in their own educational remediation process. The other 20 HP laptops are used by students, pairing two students per laptop. This September 2017 expansion will serve six teachers and 360 students during the fall semester. This expansion will require additional funding, including excess baggage fees to fly our hardware overseas, customs fees, three additional facilitator salaries to establish an IEL staff person in each of these schools, and materials and personnel for four days of training. $28,500 is needed for this expansion to be successful. See below for a cost breakdown. Phase II of our program aims to ensure each student is engaged with KA-Lite at least four periods per week learning mathematics on the HP laptops. By the end of each semester, 75% of our students should increase their math scores by eight points or more on the Northwest Evaluation Association (NWEA) MAP (Measures of Academic Progress) test. This 8-point increase indicates that students are gaining nearly a grade level in math competency every semester, far exceeding gains currently achieved in the typical Liberian classroom. Hello All - Just a quick update and thanks for your contributions thus far. We’re waiting on one last group, CAUSE Canada before we get underway with next steps. My name is Bob Rollins and I am the Ed Tech Specialist at the US-Africa Children’s Fellowship. During its twelve years working with partners in Africa, USACF’s most prominent project has been supplying and building hundreds of libraries in schools and classrooms. Last year I joined USACF and spearheaded our “bridge project” which uses devices and content from World Possible. Our first pilot project began in 2016 in Bulawayo, Zimbabwe and is expanding. In collaboration with our in-country colleagues, we are launching pilot projects in 3 locations in South Africa (Johannesburg, Kimberley, and Port Elizabeth) and a second project in Bulawayo. Our pilot project in Bulawayo uses two RACHEL-plus devices. The first is based in the computer lab of Zimkids, an after school community center in Bulawayo. Ninety children at the community center have access to the RACHEL each day. We propose adding an additional 40 device learning center at Zimkids. Five coordinators from the community center take the second RACHEL-plus to five area community centers on a one-a-day rotation with amazing results. We have a third RACHEL-plus with our colleague, Mr. Mthokozisi Moyo who is the Education and Training Coordinator for our partner NGO in Zimbabwe, ORAP (Organizations of Rural Associations for Progress). Mr. Moyo has identified 7 “target schools” which meet our criteria for the project’s next phase. I will be in Bulawayo in March to launch the pilot projects, facilitate a workshop for 20+ principals and education officials, and meet with provincial education officials about expanding the project. In addition, in March I will be launching pilot projects in two South African areas, Kimberley and Port Elizabeth (see below). On March 6 I will be meeting with the ICT/e-Education & Telematics Co-ordinator for the Northern Cape Department of Education and presenting a workshop for area principals. We are launching a pilot project with a RACHEL-plus at Thabane Public Secondary School in Kimberley. Following the workshop and site visits I will update this post with the names and device needs of the 8 schools and that will participate in the next phase of the project. We propose installing an additional 40 device learning center at Thabane. We propose installing an additional 40 device learning center at Chatty Secondary. Total: 120 tablets and 3 RACHEL-plus devices. Each tablet will be used 35+ hours/ week. Absenteeism is a tremendous problem in these regions and we aim to see absenteeism reduce by 10%. Access to the English language content and instructional resources will boost English fluency, which in turn will greatly help learners do better on high stakes tests. We expect to see pass rates increase by at least 10%. Our planned budget for the pilot phase (now underway) is $10,000. For the upcoming implementation phase, our projected budget is $85,000. In March, I will be meeting with staff and students from the African Leadership Academy. USACF has been working with ALA for the past three years. ALA finds the best high school students across Africa and brings them to their Johannesburg academy for their last two years of high school. Once their high school education is completed, ALA finds their graduates full scholarships in colleges and universities around the world. The core mission of ALA is that these students return to their home countries after college graduation and develop the resources of their own countries. The purpose of my March meeting with ALA is to show staff and students the enormous potential of the RACHEL content and devices and lay the groundwork for future partnerships and collaborations. Thanks, @bobrollins – the grant is mostly providing for hardware to go with RACHEL-Plus (not RACHEL-Plus itself). They’re giving away tablets, phones, laptops, PCs. For the sites you actually have names for, what would be the need there? Is there a need beyond RACHEL-Plus? I interpret bobrollins “120 device” count as the number of tablets (or pcs), not 120 Rachel devices because 40 devices in one school is unlikely to be 40 Rachels. Although Rachel does not provide “the internet,” it certainly does provide a slice of the internet and “access to products and services they do not currently have”. I doubt that there’s any problem proving Rachel’s “scaled impact on the target community.” However, did you submit an “Expression of Interest” and/or receive any feedback? evaluated on their projected scaled impact on the target community. Applications are due in 7 days. What is the plan & progress? The application form requires information that is not provided in the above summaries. One week is not much time to gather this information from parties around the world. My name is Wendy Fehr. I am the Executive Director at CAUSE Canada. CAUSE Canada strives to be a catalyst for global justice – providing sustainable, integrated community development in rural West Africa and Central America through authentic, collaborative long-term relationships. We are currently are using the RACHEL-Plus in our Integrated Learning Resource Centre, in Kabala, Koinudugu, Sierra Leone and in our Mobile Learning Lab which travels to rural and remote schools in the communities outside of Kabala. In early February, we held our annual teachers’ conference where 100 teachers from 17 schools participated. One session involved the introduction of the RACHEL content. For over an hour the teachers used tablets to access information on the RACHEL. A few of the teachers in attendance represented schools where the Mobile Learning Lab reaches periodically. These teachers shared that the team brings tablets for the teachers to use during the time their students are in computer classes. Through this time, the teachers have been able to access information about math and science and prepare stronger lessons plans as a result of having access to the RACHEL content. Teachers also shared that they feel their students performed higher on both the BECE and WASSCE exams because of having access to the RACHEL+. Each school requires the following equipment: one RACHEL-Plus, 20 tablets, and a BBoxx (a compact solar charging station for tablets and the RACHEL as there is no electricity in any of these communities). Two students would use the device at any given time with the average usage of each device between two to three hours a day depending on the number of classes scheduled to use the Learning Lab. Teachers would be able to use the tablets for lesson planning. Deploy Learning Labs in 6 rural schools. Train teachers in using the tablets to assist students in Khan Academy lessons and to research and improve their own lesson planning. Improve students’ performance on the BECE exams (West Africa exams for children completing primary school and necessary for entering Junior Secondary School). The planned budget for this program is $21,300. Applications are due in 5 days. What is the plan & progress? I added a sheet (tab) for each group in my Google Sheet mock-up of the application the here (Anyone with the link can edit.). I still suggest that each group complete their sheet, otherwise I don’t know how Jeremy will have all of the information that he needs for a successful application. Hi Thanks, @BrianW – Don’t worry, I’m on this tomorrow. Having each group fill it out is a bit redundant as we’ll only answer these questions generally once. I’m going to take a stab at the full application and then circulate here for review. As noted, I am concerned that you don’t have the answers to some of the questions, such as the expenditure per type of device and what vendor they are buying from but perhaps you have a plan for that. Hi Team - our application was submitted tonight. We don’t currenltly keep audited financials though, which is a requirement for non-NetHope members (a pleasant surprise literally at the end of the application). I was told to submit what we had with the caveat we will get audited financials if we’re awarded a grant, but I don’t have nearly the faith I once did. FYI, One foundation in Indonesia is applying for the NetHope grant and including Rachel Plus in their plans for upgrading/expanding 70 computer labs, so I am optimistic that we’ll soon have a RACHEL user base in Indonesia, which will help me raise support for making Indonesian-language modules for RACHEL. Even if they don’t win this grant, they are interested in RACHEL Offline. Interestingly, some time ago, Intel had demonstrated the CAP for them but told them that it was not available for purchase, so they were surprised to see the RACHEL Plus. The way we arranged it is that the established audited foundation is submitting the application and listing 6 sites at two other non-profits as partner expansion sites. We didn’t have time to workout the specifics of how finances/equipment would be transferred to the partners (there are tight accountability rules), but that will be a good problem to have when we win a grant. That’s great to hear, what group is it? Intel still doesn’t sell the CAP, requires large orders from a manufacturer in China. Shockingly difficult to get.